The holiday season is upon us and it’s time to spend quality time with our family, friends, and loved ones. 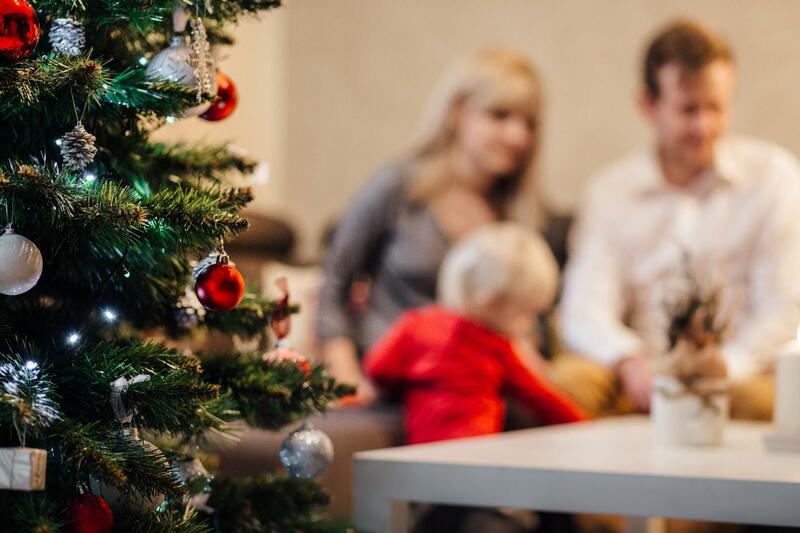 Shopping, cooking, and endless holiday functions can definitely be fun, but often become a huge headache when it comes to keeping your life organized. The holiday season can be hectic and sometimes downright chaotic, but you don’t have to sacrifice your sanity over it. Fortunately, technology may be able to help you during the busiest time of the year. Here are some ways you can use tech to take the pressure off. The first and perhaps the most important rule in hosting a holiday party is making sure your guests are free and able to attend. There’s nothing more disappointing than having only one or two guests show up after spending seemingly countless hours preparing. So before anything else, make sure that everyone you are planning to invite is available. The online scheduling tool Doodle can help you with this. It’s a free service and incredibly simple to use. First, you suggest dates and times for your event participants to choose from, then Doodle creates a polling calendar that can be sent to participants for feedback. Each person can select the day and time that works best for them. This way, you don’t have to scroll through your messages to keep track of who’s free and who hasn’t responded to your invite yet. Another stressful aspect of the holidays is making sure that everyone is kept updated on all the gift shopping, food preparation or party prep. Establishing an effective line of communication with family members and guests is important in order to avoid stress and to minimize any potential heated exchange. This is where instant messaging come in. Don’t get me wrong, text messages and tradition phone calls can still work but instant messaging apps such as WhatsApp, Facebook Messenger, and Signal are taking over as a more effective mode of communication. As of October 2018, WhatsApp has approximately 1.5 billion active users while Facebook Messenger is a close second with 1.3 billion. Signal is another app used for instant messaging but has an extra layer of security as every message sent over the platform is encrypted. But what does that mean? It means every conversation you have remains private – no one else can read your messages except you. Calls made through the app are also encrypted, assuring you that all conversations are between you and the person you’re talking to. Not that you’re doing anything sketchy, but isn’t it nice to know all your conversations are safe. If you still don’t have an instant messaging app installed, do it now and invite all your friends and family to a group chat. All that’s left to do after that is to get started on the holiday planning! During the holidays, your phone is most likely going to be filled with photos and videos of your friends and family celebrating the spirit of togetherness. But there are times we forget to upload those hundreds of photos to Facebook or other photo sharing platforms, leaving those snaps unseen. Google Photos is a photo gallery that automatically backs up your photos and videos so you can find and share them faster. It’s free and very easy to set up. Just download the mobile app, sync your photos and you’re good to go. Here are a few other benefits that Google Photos offers, especially during the hectic days of the holiday season. Free storage – When you sync your photos to the cloud, you can choose whether to back up the original uncompressed versions of your photos or a compressed high-quality version. If you opt for the former, your storage space will be limited to the space available in your Google account. If you choose the latter, the platform allows unlimited storage. No matter which you choose, having extra data storage space is always helpful during the holidays. Advanced editing – There’s no need for other editing apps because you can edit your photos within the platform. Google Photos has a built-in editing tool that lets you adjust the brightness, apply filters, crop, and rotate your photos. Smart albums – Google Photos automatically organizes your snaps based on the location and time they were taken. Share photos – You can share your photo library with someone in a matter of seconds. The first step is to select which the contacts you want to share your albums with. Then once you pick the recipients, the app will let you narrow down the sharing perimeters. Your recipients will get instant access to the pictures as you take them. Whenever I give someone a gift, I always worry about whether I’ve picked something they’ll like. Turns out, I’m not the only one. Studies show that people generally feel anxious when giving gifts compared to when they are receiving one. In fact, according to one study, gift shopping now outranks family obligations and holiday travel in raising our collective blood pressure this holiday season. Additionally, 84% of the respondents stated that gift giving is one of the most stressful life events. With a wishlist registry app, family gift-giving will become a breeze. Giftster is a free wish-list-creation app. Once you create an account, you can invite your family and friends to join your private gift idea sharing group. Then everyone can create a list of items that they want for the holidays and even include links to where the items are available. With it, you take the guesswork out of gift giving! Use technology to your advantage this holiday season. Just follow some (or all) of our tips. Trust us, you’ll cut down tons of stress and your family and friends will thank you in the process.